Charter a private jet to Chile, a long, narrow country along the southwestern coast of South America, nestled between the Andes Mountains, and the Pacific Ocean. Air Charter Advisors offers 24 hour private jet charters to/from Chile to luxury and executive travelers around the globe. Officially known as the Republic of Chile, it’s one of the most economically prosperous and socially stable nations in South America, outranking the majority of Latin American nations in a number of categories. It’s also a popular tourist destination, with landmarks and attractions such as the Atacama Desert, Elqui Valley, and 3 national parks: Conguillio, Rapa Nui, and Torres del Paine. Find the best deals on the best planes for your private charter flight to/from Chile with our around the clock air charter services. Our brokers arrange nothing but the best aircraft for luxury and executive flyers for flight within the Americas or anywhere around the world. Fly private using ACA’s jet charter service. Charter a private jet to Chile, a narrow country that stretches along the southwestern edge of South America. Chile’s population is around 17.5 million people, with the majority (5.6 million people) living in the Greater Santiago area. It’s bordered by Peru to the north, Bolivia to north east, and Argentina to the east, connected to Buenos Aires via National Route 7 (RN7). Chile was under Incan rule before the Spanish arrived in the 16th century, when many were wiped out due to disease, warfare, and European immigration. Although independence was declared from the Spain in 1810, victory wasn’t finalized until 1818, thanks to a combined attack with forces from the Rio de la Plata Basin. After that, they liberated Peru from the Spanish, eliminating their influence in the region. In the 1880s, it went on to annex the regions of Patagonia, Tierra del Fuego, and Rapa Nui, and it invaded parts of Peru and Bolivia in the War of the Pacific (1879–83), keeping the territory found in its northern regions today. Although they claim a 1.25 million square kilometer section of Antarctica, their territorial isn’t recognized due to the terms of the Antarctic Treaty. Instead, Chile maintains an active presence on the Antarctic peninsula, teaming together with other nations working in the Antarctica. Today, Chile is a active in the global community as members of the United Nations, the Union of South American Nations (UNASUR), and the OECD, the first South American nation to join. It’s home to one of the strongest economies in Latin America, with the nation’s central bank in Santiago, it’s capital and largest city. Copper mining accounts for nearly 20% of the Chilean GDP, 60% of its exports, and supplies the world with around one-third of its copper. Tourism is also a major component of its economy, welcoming more than 2 million people a year. Chile’s coastline stretches along more than 6,000 km of Pacific Ocean, and from the northern tip in Arica down to Punta Arenas, private flights are the best way to travel. 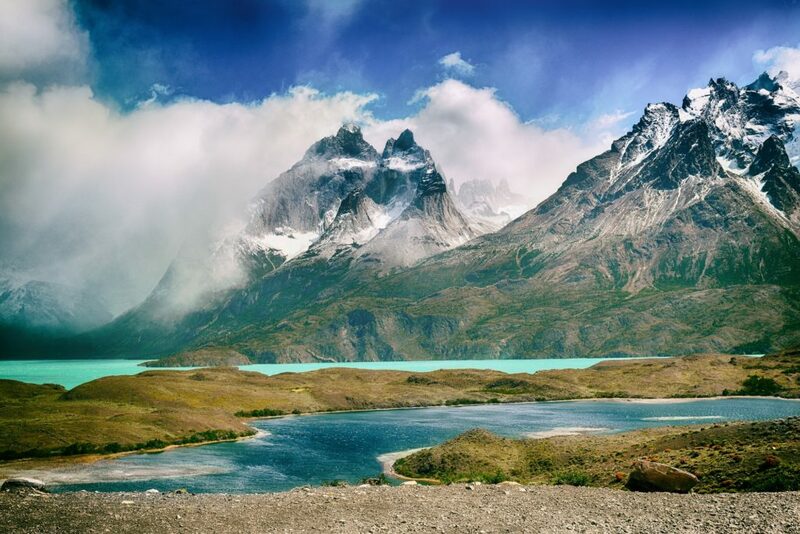 One popular region is Patagonia, covering the southernmost tip of South America. The region is shared with Argentina, split by the Andes Mountains: on this side, you’ll find glacial fjords and temperate rainforest, while in Argentina, you’ll find arid steppes, grasslands, and deserts. Check it out for yourself with ACA private jet charter services in the following destinations. Request a Quote or give us a call at 1-888-987-5387 to speak with one of our private jet charter brokers for your next luxury vacation, business trip, or special event in Chile.